SEOUL, South Korea -- North Korea on Sunday said it detained another American citizen over unspecified hostile acts against the country. North Korea's official Korean Central News Agency said Kim Hak Song, an employee of the Pyongyang University of Science and Technology, was detained Saturday. North Korea on Wednesday announced the detention of an accounting instructor at the same university, Kim Sang Dok, for "acts of hostility aimed to overturn" the country. The KCNA didn't say whether the two cases are connected. "A relevant institution is now conducting detailed investigation into his crimes," the KCNA said about Kim Hak Song. In Washington, the State Department said it was aware of the report of the new detention and that "the security of U.S. citizens is one of the department's highest priorities." Kim Sang Dok, the former accounting instructor at the Pyongyang university, was arrested at the Pyongyang International Airport on April 22, the KCNA said. It said he was "intercepted for committing criminal acts" to overthrow the North's government, but didn't elaborate. When an American citizen is reported detained, the U.S. works with the Swedish Embassy in the North Korean capital, since the U.S. and the North do not have diplomatic relations. 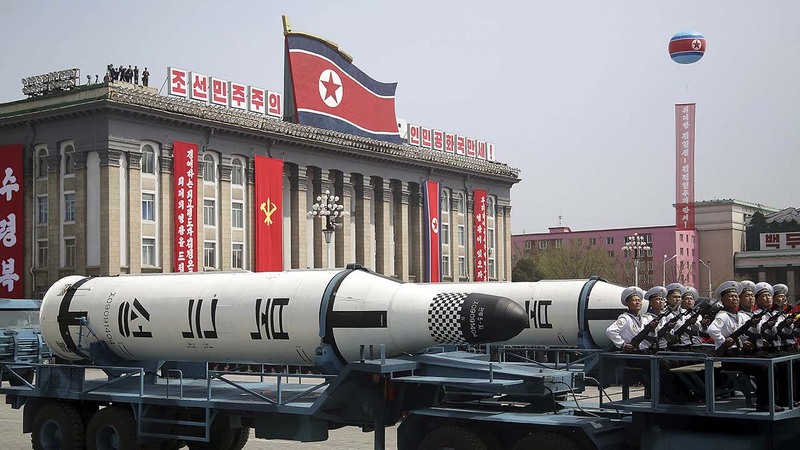 North Korea's announcement of the detainments comes amid tensions over fears that Pyongyang is preparing another round of nuclear or missile tests and comments. U.S. President Donald Trump has further spiked animosity by saying he isn't ruling out military action against the North, although Trump has also said he would be willing to talk with North Korean leader Kim Jong Un under the right circumstances. North Korea on Friday accused the U.S. and South Korean spy agencies of an unsuccessful assassination attempt on leader Kim Jong Un involving biochemical weapons.